There’s nothing worse than doing an extremely good job at work and receiving no recognition from your boss. This leaves employees feeling underappreciated. When this happens many workers are less likely to want to excel. Many decide to look for new jobs. That’s why recognizing workers in a timely manner is key. That’s why there’s Strategic Incentives. 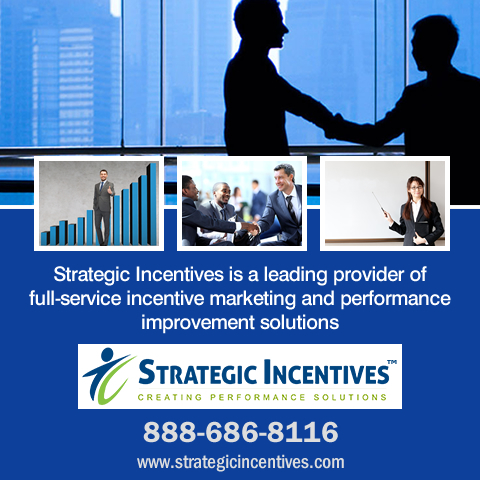 Strategic Incentives is your go-to-resource for sales incentives, marketing, performance improvement solutions and recognition programs. 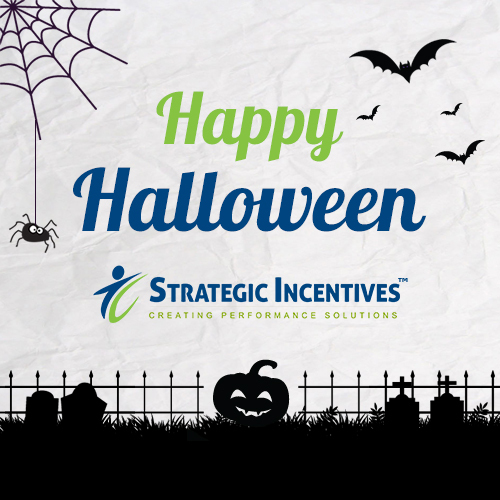 This Halloween, why not talk with Strategic Incentives about how we can help your company grow? Employee motivation is a key ingredient to a healthy bottom line. If you’re looking for ways to build a performance improvement plan, this is a great place to start. Let Strategic Incentives explain the benefits of an empowered workforce. For example, spot recognition lets employees know their employer is paying attention at every moment. Companies that recognize and reward employees with incentives develop a deeper sense of respect among their workforce. Let’s talk about incentives. How are you currently using incentives to motivate employees? Are you making use of sales achievement awards? attendance awards? corporate anniversaries? We would be happy to speak with you about developing a strategy to recognize and engage your employees. Rewards programs and employee loyalty programs are great ways to improve employee performance and boost company morale. When it comes to your company, go big when it comes to rewards. Research has proven that tangible rewards and experiences motivate employees more effectively than cash. Experiential prizes such as trips; sky diving, scuba diving, hot air ballooning, nascar driving, are just a few examples of successful corporate incentive program tools. Strategic Incentives will work with you to design the correct program for your specific needs. Engage your employees this Halloween by recognizing not only their accomplishments, but also their performance and loyalty. Call us at 1-888-686-8116 or email us at info@strategicincentives.com today and we’ll help you develop the perfect plan that fits your corporate culture. Visit our website at https://www.strategicincentives.com to download a complimentary PDF of “35 Ways to Use Incentive Programs.” “Like” the Facebook page to receive regular updates on sales incentives and promotional ideas. A: Strategic Incentives can also help with promotional marketing. Call us today to find out what items can help with getting the word out about your business.